On April 19th, RECOVER collaborated with fellow Gulf of Mexico Research Initiative consortium CARTHE to present a screening of their documentary Dispatches from the Gulf 2. 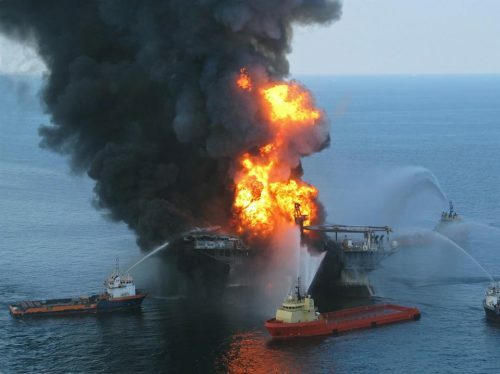 This is the second installment in their documentary series that follows the research, recovery and restorative practices within the Gulf of Mexico in the years after the 2010 Deepwater Horizon oil spill. Our event was planned in honor of the 8thanniversary of Deepwater Horizon, on April 20th, as well as Earth Day, on April 22nd. 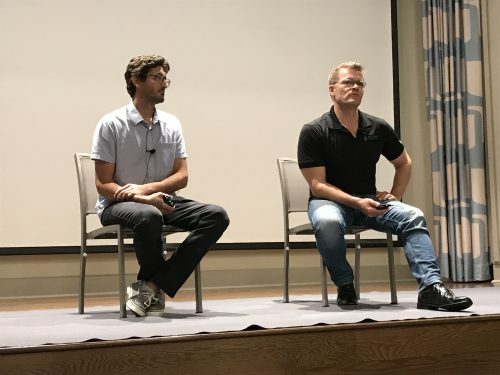 Approximately 100 people were in attendance to watch the film, as well as to participate in a discussion with lead principal investigator and RECOVER director, Dr. Martin Grosell and CARTHE researcher Dr. Guillaume Novelli. The audience was extremely engaged, asking many questions regarding the panelist’s related research, the film and the future for oil spill research and science. Additionally, the screening was a sister event for the Smithsonian Earth Optimism event. Established in 2017, the Smithsonian’s Earth Optimism and its sister events, work to promote a change in the conversation regarding global climate change and its associated detrimental effects from a negative, doom and gloom tone to one that is positive and hopeful. By showcasing Dispatches from the Gulf 2, we helped to bring information of the importance in understanding the impacts and research of this disaster on the Gulf of Mexico ecosystem to the public, so that it can be communicated in a positive manner. We’re happy to have been a Smithsonian Earth Optimism sister event and be a part of this conversation change and movement. We believe that the future for oil spill science and research is moving in a positive direction and want to continue to communicate that to the public. 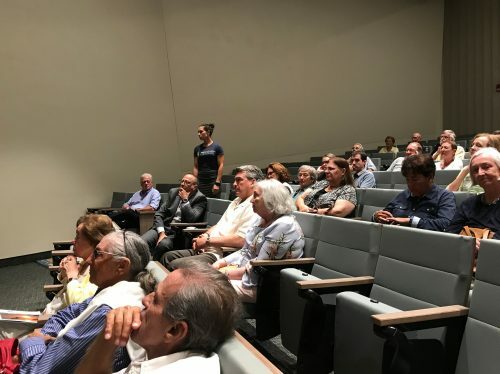 Lastly, we want to extend our thanks to those that attended the Dispatches from the Gulf 2 screening and discussion, as well as CARTHE and University of Miami Rosenstiel School of Marine and Atmospheric Science.